Governor Dannel P. Malloy and State Department of Education Commissioner Dianna R. Wentzell today announced that Connecticut public school students are continuing to increase their performance and participation on Advanced Placement (AP) exams, according to the 2017-18 results from the College Board. These improvements were evidenced among students from all racial/ethnic backgrounds and extend to the state’s Alliance Districts. 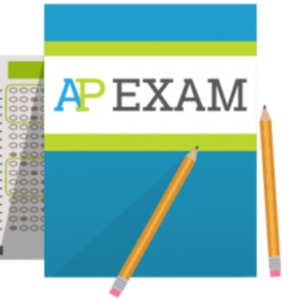 The number of students who took at least one AP exam in 2017-18 rose to 30,411 – an increase of 5 percent from 2016-17. Those students took 55,738 exams, also an increase of 5 percent from the prior year. Of the exams taken, 37,804 achieved a score of three, four, or five – an increase of 3.8 percent from 2016-17. To improve access and remove barriers for underrepresented student populations, the State Department of Education for the fifth consecutive year paid the remainder of fees not covered by the College Board for low-income students to take AP exams in spring of 2018. CSDE will continue to cover this cost going forward. Based on the results of the fall 2017 PSAT exams, CSDE sent letters to over 19,000 students identified as having AP potential. CSDE will continue this practice as well. The Next Generation Accountability System acknowledges that students may demonstrate their abilities through options other than the AP, which is why the system recognizes participation in International Baccalaureate (IB), dual enrollment, and career/technical education courses, in addition to exam performance on the IB, SAT, and ACT.